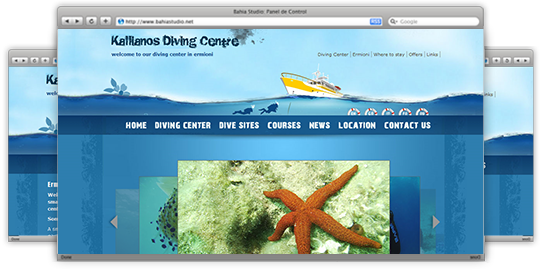 WebOlution undertook the web design, web development and SEO of Kallianos Diving Centre. 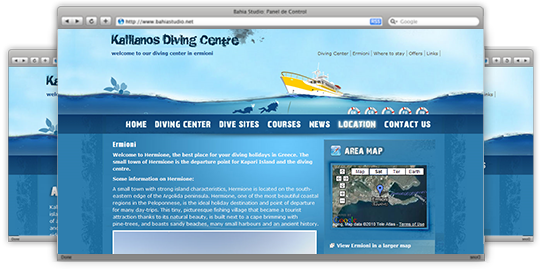 Kallianos Diving Centre welcomes you to Kapari island in Greece, the only private island in the world that houses a diving centre. 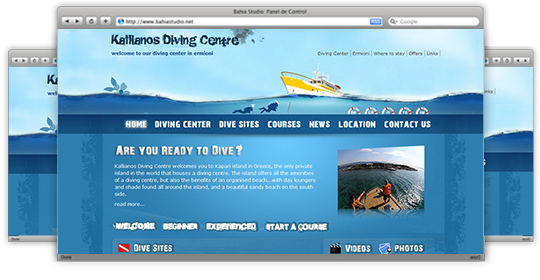 The island offers all the amenities of a diving centre, but also the benefits of an organised beach…with day loungers and shade found all around the island, and a beautiful sandy beach on the south side.